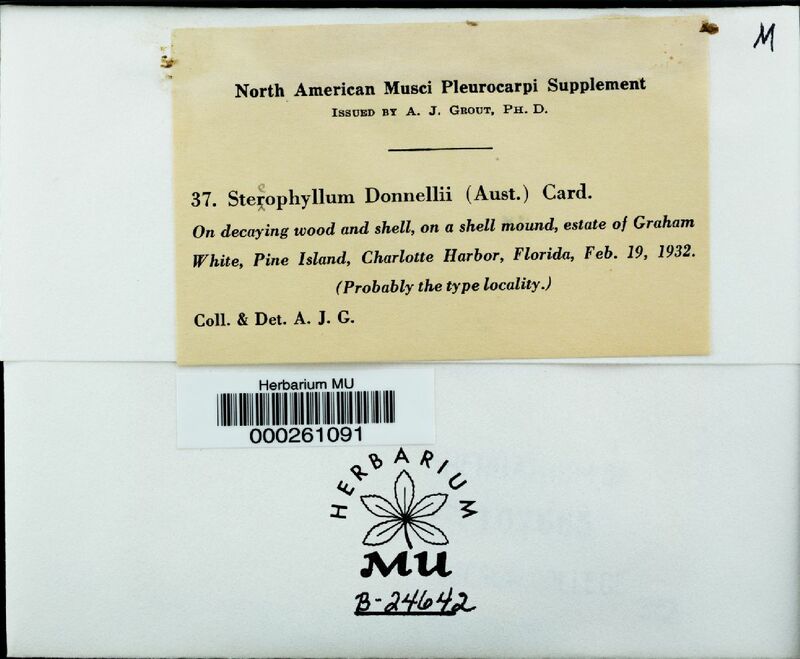 Taxon: Stereophyllum donnellii (Aust.) Card. ex Par. Habitat: On a shell mound. Substrate: On decaying wood and shell.